Is this a great looking container? It’ not too late to create this wonderful look for your patio. 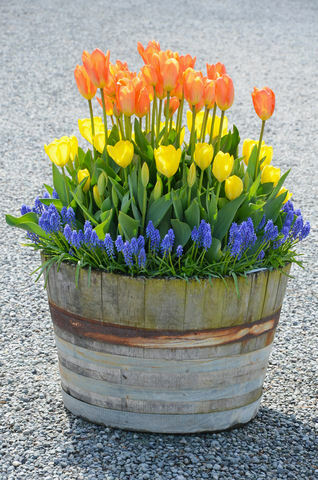 Check out this post on container gardening with bulbs: Click HERE.